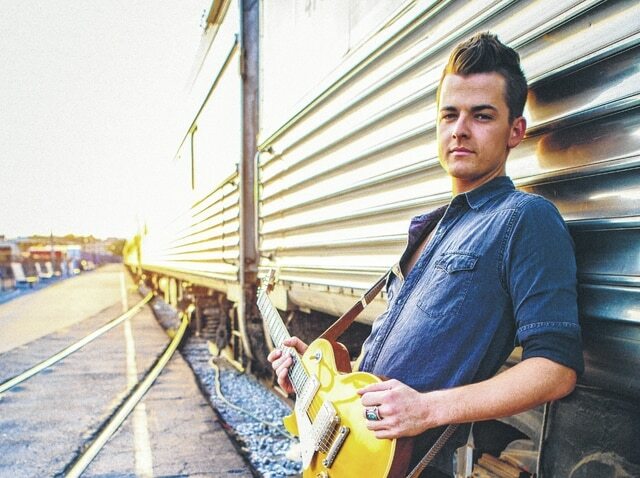 Chase Bryant says he loves playing towns like Hillsboro, especially at a festival where so many acts have performed that have become favorites of his. The headliner for Saturday night’s Festival of the Bells concert says he loves playing towns like Hillsboro because it takes him back to his roots. Bryant will perform at 9 p.m. Saturday on the Fifth Third stage. Kicking off the evening will be a performance by RaeLynn at 7 p.m.
Bryant said he is aware of the number of acts that have played the Festival of the Bells over the years and gone on to become big name acts. Bryant, 22, was raised in Orange Grove, Texas, population 1,200. His grandfather played piano for Roy Orbison and Waylon Jennings. His uncles co-founded the group Ricochet. Bryant’s Top 10 debut single “Take It On Back” has reached one million combined views on YouTube/ VEVO, spent 14 consecutive weeks on the CMT Hot 20 Countdown and is a GAC Top 20 Country Countdown video. “Take It On Back” was a Top 20 Billboard Hot Country Song in the U.S. and a Top 20 Most Watched Video on VEVO TV Nashville. Internationally, the single is a Top 20 hit in Canada and soared to become the number one video on Australia’s CMC Countdown. The festival’s entertainment kicks off Thursday at 7 or 7:30 p.m. shortly after the annual festival parade. Local church Good News Gathering will provide the opening act for Sidewalk Prophets. Reach Jeff Gilliland at 937-393-3456 or on Twitter @13gillilandj.